Canadian Record or Olympic Glory: What carries more weight in 2016? 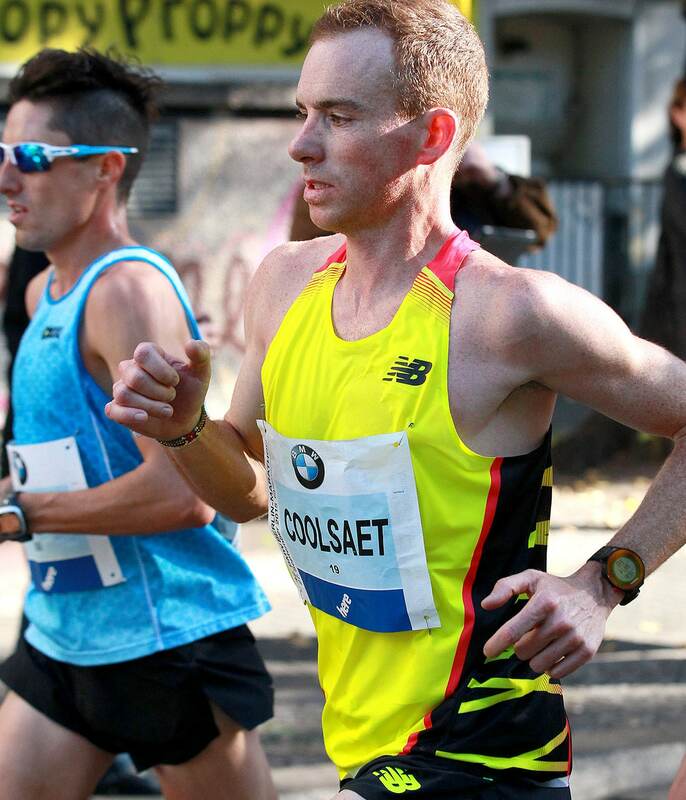 At 36 years old, marathoner Reid Coolsaet knows time is running out to break the 2:10 barrier. But is it worth risking Rio over? In 2012, the Olympic marathon was the only marathon I ran that year. Back then I felt as though I was going to have at least three or four more years and many opportunities to better my time. Now, at 36, it’s not as though I can keep counting on running fast marathons year after year. Time is ticking. Chase the Canadian record or go for a strong finish in Rio? That’s the question I’d been facing for months, as I prepared to set my schedule for the Olympic year. Why is that even a question? Because it’s a fact that Olympic marathons don’t produce fast times. I’m so close to the Canadian marathon record that I can almost feel it. It’s been my goal for the past six years. Chasing that time fuels my motivation to run up to 220 km a week. But this is also an Olympic year and I want a top 10 finish in a race that only comes around every four years. Trying to do both – run a fast marathon and top 10 at Olympics – in the same year comes with some risk as the marathon takes a massive toll on the body. Within the Canadian running scene, I imagine that nothing less than a top-five finish at the Olympics would be as significant as breaking the Canadian marathon record. That’s because the Canadian marathon record is over 40 years old. Jerome Drayton set the current mark of 2:10:09 at the Fukuoka marathon in 1975 and finished sixth at the 1976 Olympics. Specifically, my goal is to run under the 2:10 barrier. Someone else could break the record before me and I would still be motivated for a 2:09. A time under 2:10 is considered world-class and it would make me feel that I’m a member of a truly elite group. At some point, I will inevitably slow down. That’s why I really want to take another shot at Drayton’s mark this year. Beyond the buzz of the record, I’ve put a lot of blood and sweat into the pursuit, running tens of thousands of kilometres and overcoming many injuries. I’ve been within 75 seconds of the record on five different occasions. It’s a goal that burns deep. The ultimate scenario would be to break the Canadian record in the Olympic marathon. Not likely to happen though. Only nine runners have ever broken 2:10 at the Olympics. Never has the fourth place finisher been under 2:10. This is due to the weather (usually hot), the courses are spectator friendly (usually means many turns and loops) and the tactics of a championship race (no pace-makers). Sometimes it takes me up to six weeks after a marathon before I feel as though I’m fully recovered and training at 100 per cent. For that reason, my coach and I have decided to forego a spring marathon in 2016. A spring marathon comes with too much risk before the Olympics. It wasn’t an easy call to make. A marathon in March has some appeal. The Seoul marathon on March 20 could be my best option at taking another shot at the national record since it’s relatively flat and fast. And believe me, chasing the Canadian record generates more excitement from sponsors and media than anything else I’ve experienced. Every time Eric Gillis, Dylan Wykes or myself enter a marathon there is chatter that the record might go down. As an added incentive the Scotiabank Toronto Waterfront Marathon has offered a hefty bonus to the first Canadian to break the record on its course. The bonus on offer equates to $1,000 for each year the record has existed. In 2015, the bonus was $40,000. The marathon is a long race and when things go wrong, they can get ugly. Very ugly. Having posted a result I was confident would hold up in the top three in Canada I bought myself the luxury to take on more risk in a fall marathon. I only run two marathons in a year in order to hit a big peak, and recover properly. I figured I should take a shot at 2:09 in Berlin, considered the fastest marathon course. If I blew up so be it, I already had my Olympic qualifying mark. I couldn’t have put my heart and soul into training for another marathon in 2015 if I wasn’t aiming for a 2:09. The prospect of running under 2:10 pushes me to new places and helps me get through the pain of a gruelling training session. In the end, I ran a personal best of 2:10:28. That’s only 19 seconds off the Canadian record. I was so close I could see the record roll over the finishing clock as I ran towards the line. As frustrating as it can be to come so close to a goal I chose to focus on the positives. I ran a P.B. and I felt strong at the end of the race. As much as I believe I’m still making progress towards 2:09, it’s satisfying to have hard numbers back up my convictions. In order to run a 2:09, I’ll need near perfect weather and some competition around my goal pace, neither of which are guaranteed in Seoul and even less likely in Rio. If it were to be really windy on race day in Seoul, I’m not sure how much I would even want to start. I wouldn’t want to take on any risk if the reward of a 2:09 wasn’t in the cards. That’s why I’ve decided to focus my spring on the world half-marathon championships in Cardiff, Wales, rather than run a marathon before Rio. And while, I know realistically the Rio Olympics won’t be fast enough to challenge the Canadian record, it also won’t break me. I have recovered faster after championship marathons than when I have chased a 2:09 marathon. When I’ve run five to six minutes slower than my PB, my legs aren’t quite as beat up. I assume that I will recover faster after the Rio Games than I will after a 2:09 attempt. That leads me to believe it’s better to schedule another marathon after the Olympics as opposed to before. So I've decided to focus on the world half-marathon championships on March 26 because it’s a safer play. There is less of a chance of overtraining or wrecking myself racing hard over 42.2km. However, I know that the training for a half-marathon will complement my marathon training and set me up well for later in the year. If all goes well, I’ll accomplish a goal, or two.